This is the fifth and final article on medical cannabis and its use as a peripheral neuropathy treatment. Cannabis smoke contains thousands of organic and inorganic chemical compounds, similar to that found in tobacco smoke or cigars. Smoking any substance will carry the same risk due to carcinogens in all smoke. Oral ingestion use eliminates the need to inhale toxic combustion products created by smoking and therefore negates the risk of respiratory harm associated with cannabis smoking. Patients may elect to use marijuana for medical use through traditional methods of inhalation including smoking the product in rolling papers, a pipe, or a water pipe. Additionally, patients can use marijuana for medical use via flower (the dried leaves), oil, or premade cartridges in a variety of commercially available vaporizers or disposable units. These products heat, without burning the medicine, until it vaporizes and allows for the patient to separate the cannabinoids from the plant material. 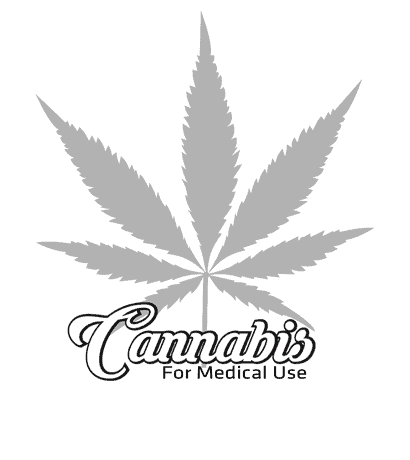 Marijuana Infused Products (MIP’s), or edible medical marijuana for medical use, are products that have been prepared with oils made from supercritical CO2 fluid extracted marijuana flower. For patients who wish to avoid inhaling the product, eating a MIP is an alternative that provides effective treatment and for some patients necessary additional calories. The downside is that because edibles take longer to be effective (20-60 minutes at least), they might not be the first choice for patients with pain. Concentrated marijuana oils and extracts are another alternative format that patients can choose for medicating. These products are produced through a solvent-less extraction process that separates, and concentrates, the essential oils from the marijuana flower. Concentrates allow a patient the ability to select a form of medication that accentuates and intensifies the particular cannabinoid qualities they are looking for. Concentrates can be inhaled either by smoking or through vaporization. Topical treatments can feature both THC and CBD and come in a variety of different forms including lotions, ointments, and balms. These products can be used to treat a specific medical need or can be used, in conjunction with other topical regimes, as a preventive. All topical products produced will have undergone the necessary formulation to ensure that all the active ingredients will work in their trans-dermal form. In the clinical setting, opioid painkillers are incredibly potent and can work wonders for certain types of pain. They are much less effective in cases of nerve pain, however. In studies, marijuana performs just as well as gabapentin, a leading pharmaceutical used to treat neuropathy. An additional advantage of cannabis for pain is that whereas narcotics commonly increase nausea and vomiting, marijuana relieves those symptoms. Of note, the use of monitored drugs including narcotics for pain decreased in states where medical marijuana was approved for those qualified conditions. Patients are using medical cannabis to treat a broad range of therapeutic categories including; mental health (anxiety, insomnia), cancer (cachexia, wasting neuropathy), diabetes (neuropathy), CNS (seizures and epilepsy, ALS, MS, etc.) and cardiovascular (inflammation) diseases. These are some of the largest and most critical chronic illness categories today facing the global population. The majority of patients become repeat purchasers, indicating that they believe they are receiving benefit. I will say that I didn’t gain much out of these articles. I was hoping for some actual experiences from people that have used medical marijuana and what might work for them. I have been experimenting with it for the last year or so. I was so excited to try first topical applications, but have found nothing that works so far. I have tried edibles and vaping with the same discouraging results. If anyone out there has something that works for them, please speak up! I’m with Barb Baxter – I’ve never had cannabis in any form and would need more encouraging information before going through the trouble of getting it. I have RLS as well as Pheripheral Neuropathy, I have major problems with Neuropathy in the evening, somewhere between 5pm to7 pm, It drives me crazy, Feet burn and hurt, at the same time RLs making me super restless and anxious, I feel as if I could just go crazy, I vape medical Cannabis, “using cannabis high in CBD, in about 10 minutes I calm down and feel like a person again, it does not take all of the pain away, but it helps so very much, If I had to put numbers to it, I would say it takes about 65 to 75 percent of the pain and restless away, asthough it only works for several hours “2 to 3 hours”, it is enough to allow me to go to sleep. That is a blessing for me. I take supplements, such as Narala R-lipoid acid, curamin with limited effect. You might want to try a neuropathy cream, sold on Amazon. Still, after a 20 minute walk today I was in agony. The only thing that definitely helps is Zen meditation. I normally meditate for 20 minutes but I got so intensely into it today I went for 40 minutes. Now I don’t have much pain. I know the pain will return but I have a respite and a calm mind for now. People complain about being distracted by a busy mind, not having the time, etc. all this can be dealt with. I have been meditating for many years but anyone can learn. There are classes, YouTube videos and great books by Jon kabat zin. Wonderful. If this helps only a few people, I’m happy. I write this because I had a first hand experience of Cannabis helping me get off opiates and benzodiazepines. I was placed in a fully body cast for 7 months after a spinal fusion operation in 1975. I kept being given prescriptions to keep me comfortable. But swallowing pills made my mind too fuzzy to think, or read or even watch TV. Someone who loved me, handed me a “Joint” and after two enhales I was thrilled to realize that I could throw away my toxic drugs. Now, in 2018 I have been diagnosed with moderate PN. I immediately turned to cannabis and in Georgia where we live, I was able to bet a GA Cannabis Card to carry the oil. When ever I get a spasm or the feeling of wearing knee socks that are terribly tight, I vap and the pain disappears. My husband is an MD and we wrote a book (we are both authors and between us have 24 books on healing) called The Secrets of Medicinal Marijuana. I’m incredibly grateful for cannabis because it is preventing me from becoming addicted to opiates. I do take a half of a 50 mg of Tramadol about 1 to 2 times a week with the cannabis.